Are you worried that some of the photographs you post online might be used without your permission? If you want to protect your images from unauthorized use and highlight the fact that they are subjected to copyright, the easiest thing to do is add a text watermark to each of them. A text watermark will make it a lot more difficult for other people to take your photos and present them as their own. Adding a text watermark on all your digital photos can take no more than a few seconds when you use a powerful piece of software such as reaConverter. Load all the images you intend to watermark. You can select them individually or add entire folders. reaConverter also features a handy drag-and-drop tool, to make things even easier. You will now be able to decide what text you want to put on your images. 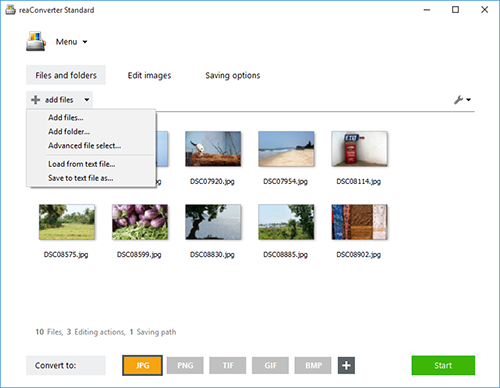 Adding only the universal sign for copyright protection ©, or adding image info (such file name, date / time or page number), are also among the available options. Next you can customize the position of the watermark text on the image, by inserting its desired coordinates using pixels or percents. For more options, go to the Advanced section, where you can rotate the watermark image and customize its opacity. In the Saving options tab, pick the location of your newly watermarked images. You can save them in the source folder, in a newly created one or in another location of your choice. 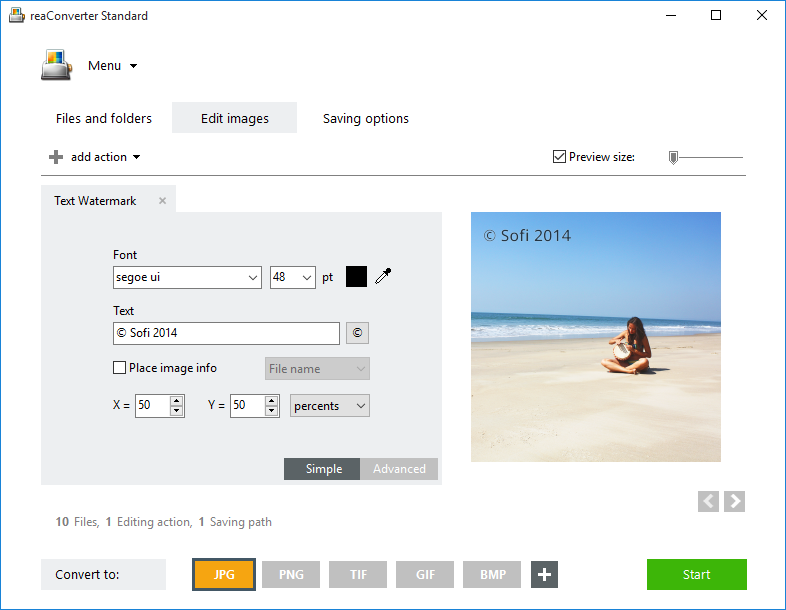 Last but not least, don't forget this software also supports conversion in and to an impressive number of image formats. Simply pick one of the extensions shown on the buttons placed in the lower part of the screen and then click Start. Your newly watermarked images will be done fast! 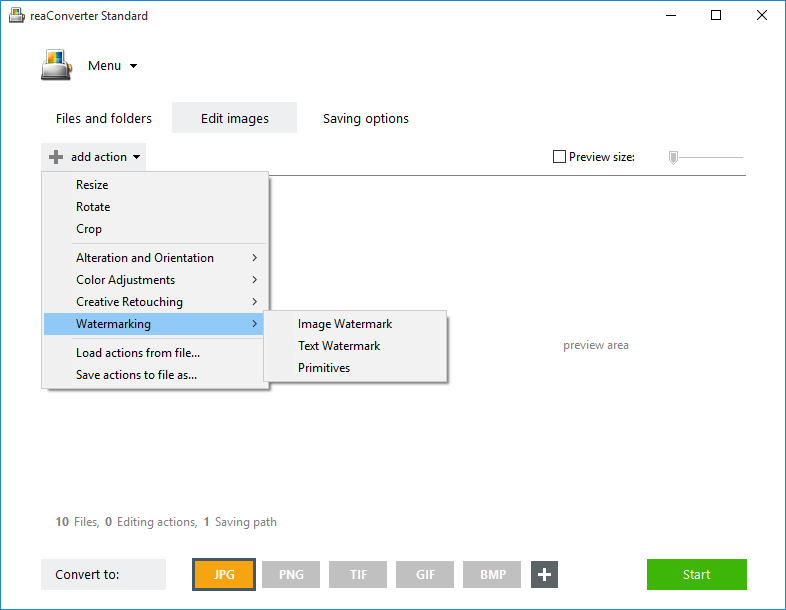 Command-line text watermarking tool is an advanced feature meant for professional use, and is available in Pro edition only.